Set of 2 Coordinating "Square Baby Birth Info Plaques" are a unique keepsake and way to display birth information for twins! 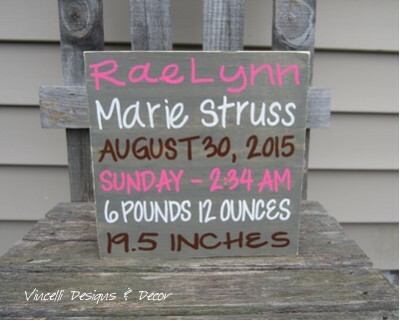 Such a sweet addition to a set of twins' room/nursery or a perfect welcome home twin baby gift for parents. 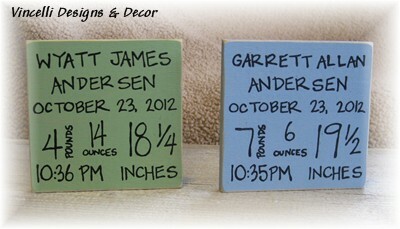 Each plaque includes baby's first and middle name, birthdate, time of birth, weight, and length! They can be done in most colors and you can choose either black or brown font. 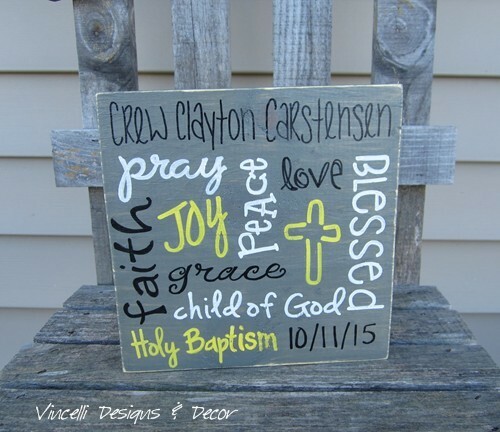 Square wood plaques are handpainted and sides are sanded for an antique/worn look. Sealed with a waterbase protective sealer and measures 4" x 4". Each stands up by itself with a width of 3/4 of an inch. Please list first and middle names, birthdates, time of births, weights, and lengths. 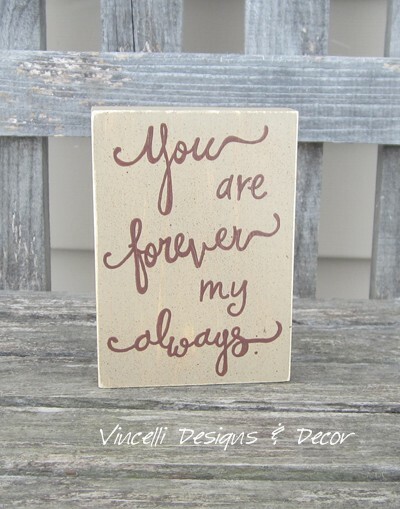 Also, please list color you'd like the square plaque to be and choose what color of font you'd like (black or brown).